White Ceramic Mug with "Mustangs" on the Inner Rim. 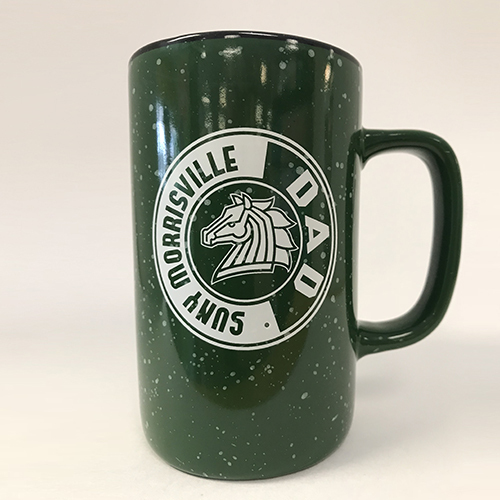 Green, speckled "Dad" mug featuring the Morrisville Mustang logo. White 11 oz. 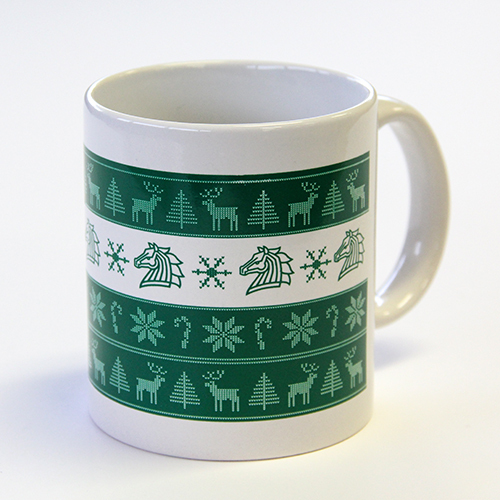 mug with festive holiday print that features the Morrisville iron horse logo. 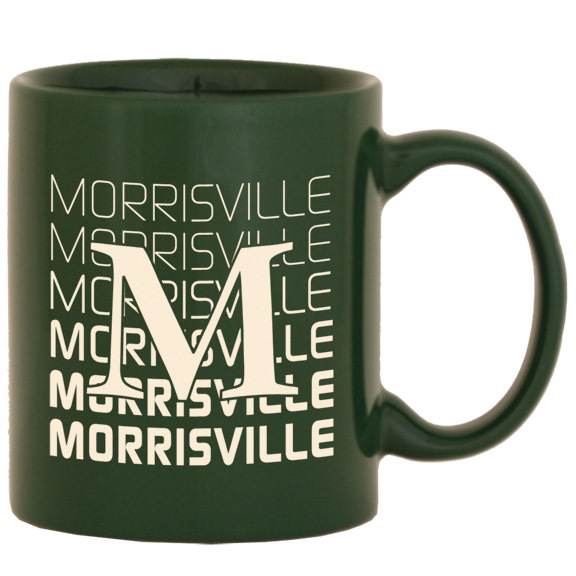 A great way to show your holiday spirit and your Morrisville pride! 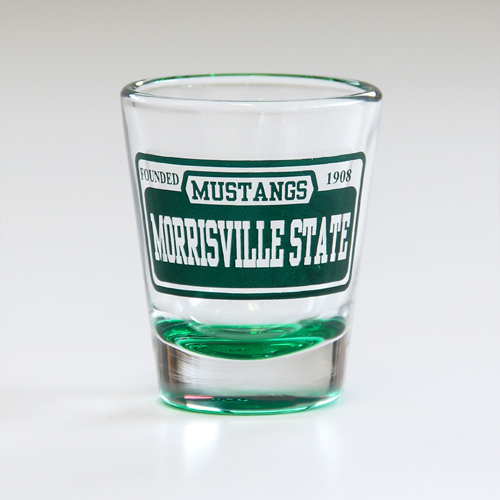 Morrisville Mustangs green bottom shot glass. A must have for collectors! Ceramic mugs in green with white speckles, etched with Morrisville State University of New York and your choice of programs. Not all programs pictured. Please check drop-down box for a complete list of programs available. Please select option for Green Speckled Mugs: Multiple Programs. 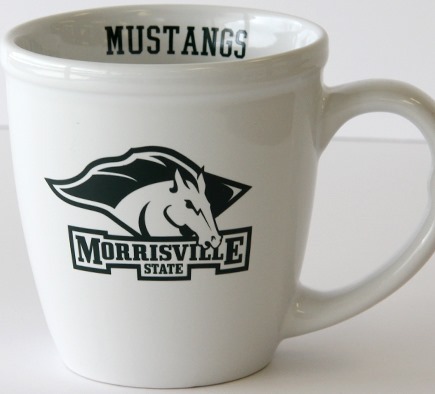 Tan, speckled Mom mug featuring the Morrisville Mustang logo. 11oz, Dark Green Coffee Mug. Ivory Imprint. Speckled, imprinted, 16 ounce mugs. Available in grey. Please select option for Rustic Mugs. For shotglass collectors, our new square shotglass with green imprint. Works great as a toothpick holder as well! 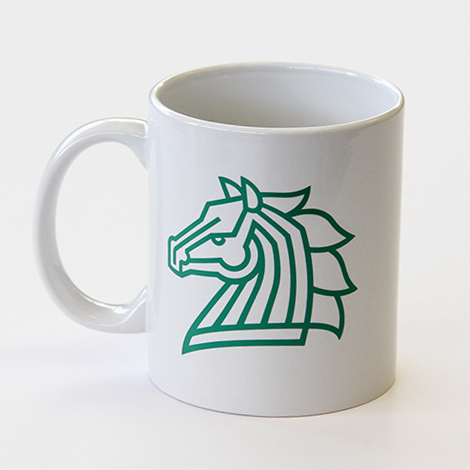 White mug with Morrisville's wire horse logo on one side, and SUNY Morrisville on the other. 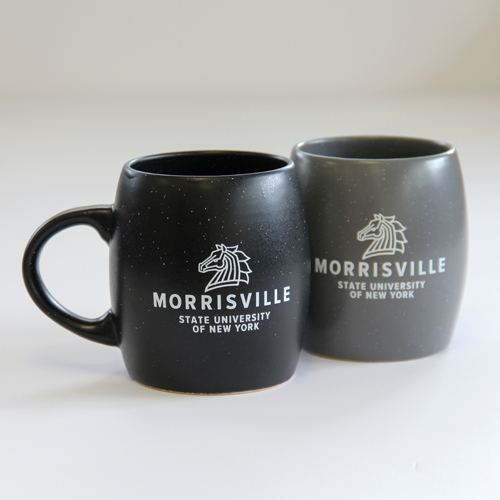 Black SUNY Morrisville mug with wire horse logo. Your choice of green or black 16 oz. SUNY Morrisville reusable tumblers, with straws. Each imprinted with the wire horse logo. 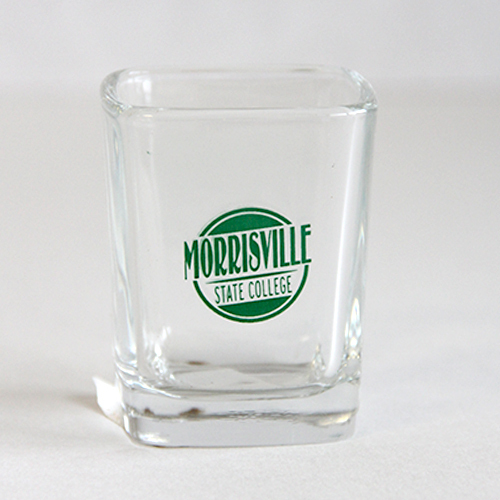 Please select option for SUNY Morrisville Tumblers.